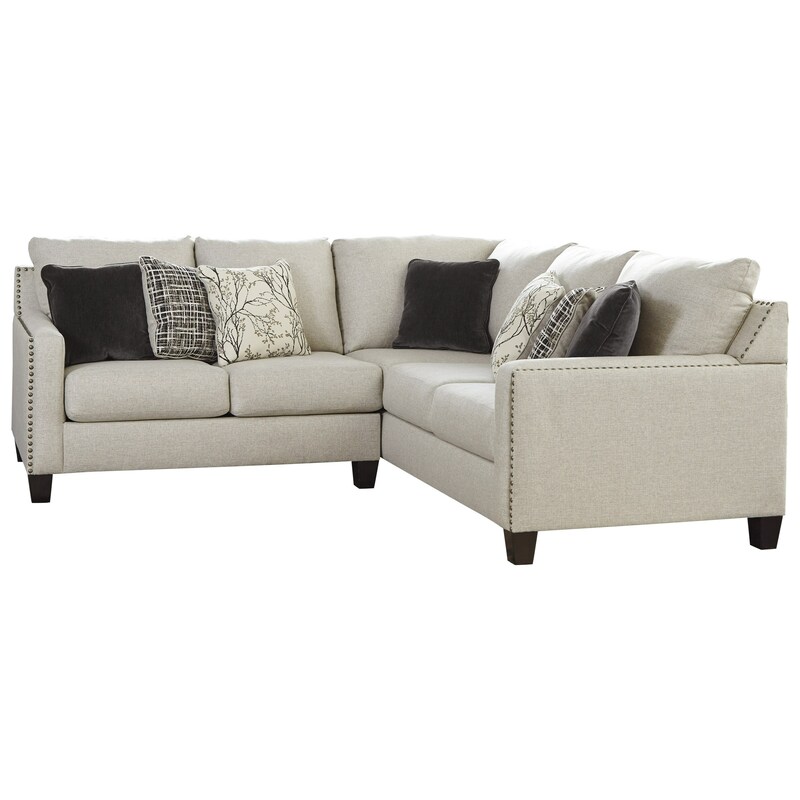 This two piece sectional's effortless style is created by details such as its nailhead trim accents and low track arms. Additionally, firm cushions and a clean line design add a contemporary feel to this piece. Able to comfortably seat four people, this sectional sofa is a great addition to your living room. The Hallenberg Two Piece Sectional with Nailhead Trim Accents by Signature Design by Ashley at Michael's Furniture Warehouse in the San Fernando & Los Angeles area. Product availability may vary. Contact us for the most current availability on this product. The Hallenberg collection is a great option if you are looking for Contemporary Casual furniture in the San Fernando & Los Angeles area. Browse other items in the Hallenberg collection from Michael's Furniture Warehouse in the San Fernando & Los Angeles area.